Excellent article. 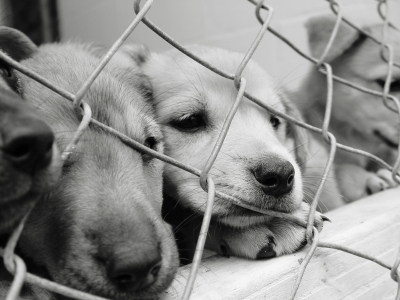 Much to their credit and against stiff opposition,TN passed a puppy mill law recently. The biggest problem is getting back into the hills where the mills are actually located. Local law enforcement is also hesitant to become involved as are the local people. Still, it’s a start! Educating the population to the health and behavior problems so prevalent in puppy mill dogs (and kitten mill cats) should continue to be a priority in all communities. Thanks for the comments, Jan — and the update on Tennessee! “At least it’s a start” comes to mind with a lot of companion animal laws…. With so many stray and unwanted animals and those that are turned in to animal control and euthanized, the puppy mill breeders are adding to this and, operate for one reason only- money. They have no concerns about the health of these poor animals, proper vet care, sanitary conditions, exercise, or anything else that is crucial to the well being of an animal. The more animals they can pile on top of one another and breed over and over again, is their only goal. I allege this to be one of the worst forms of animal cruelty. But breeders beware, you are being watched and investigated. Slowly but surely, we who love animals will continue to do everything possible, to shut you all down. Thanks for your comments, Susan!